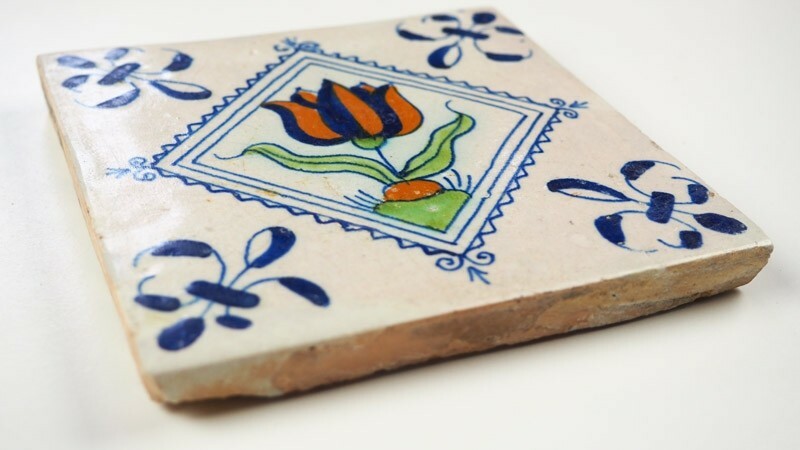 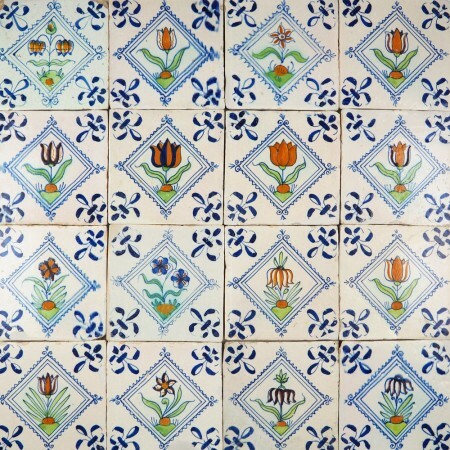 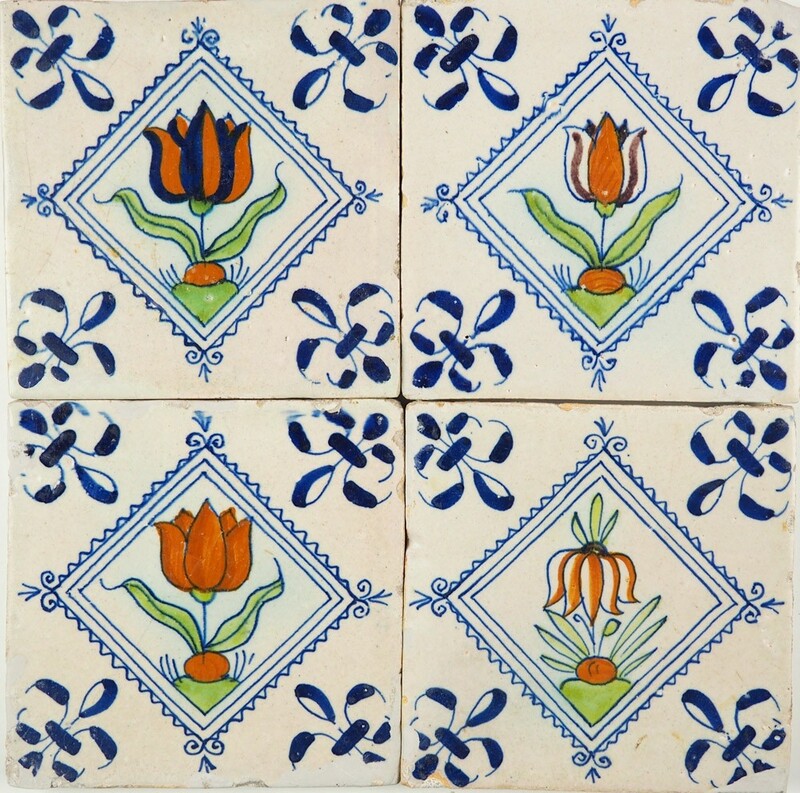 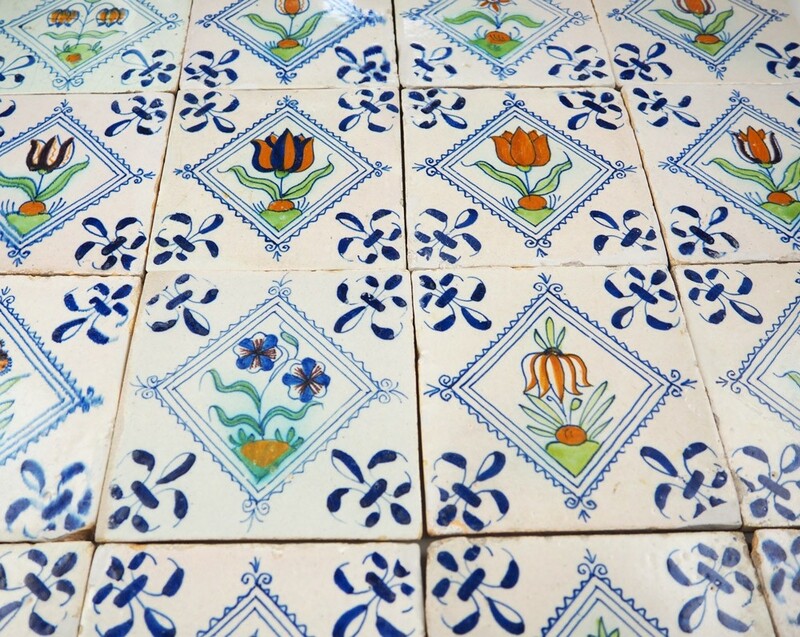 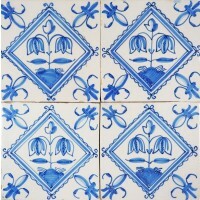 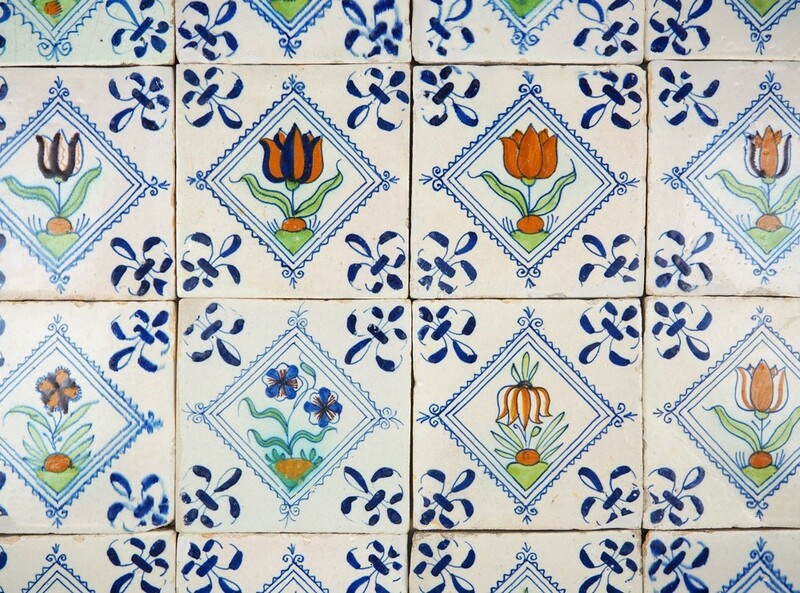 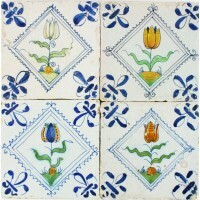 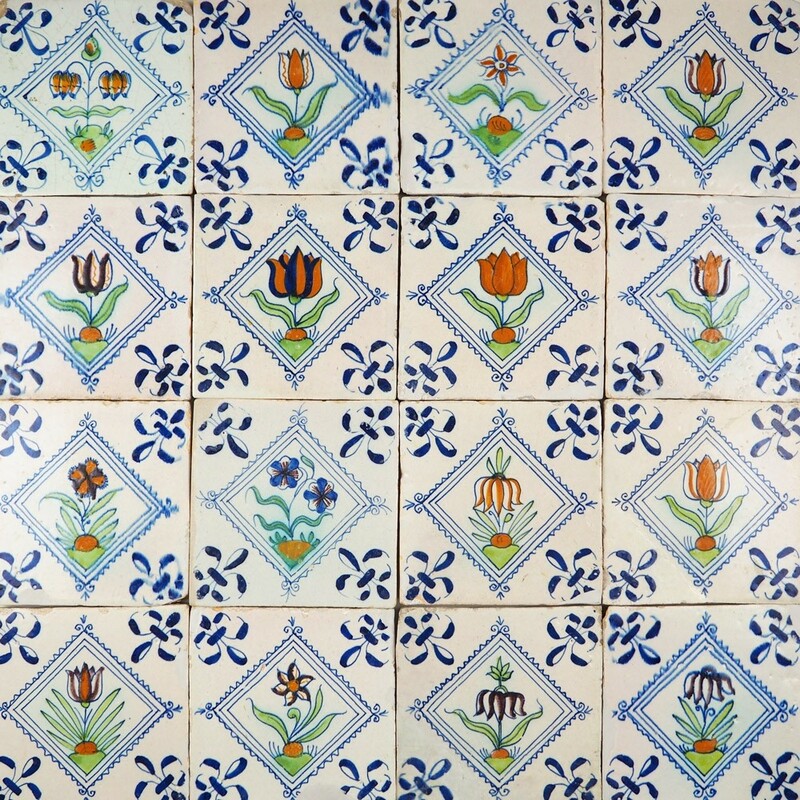 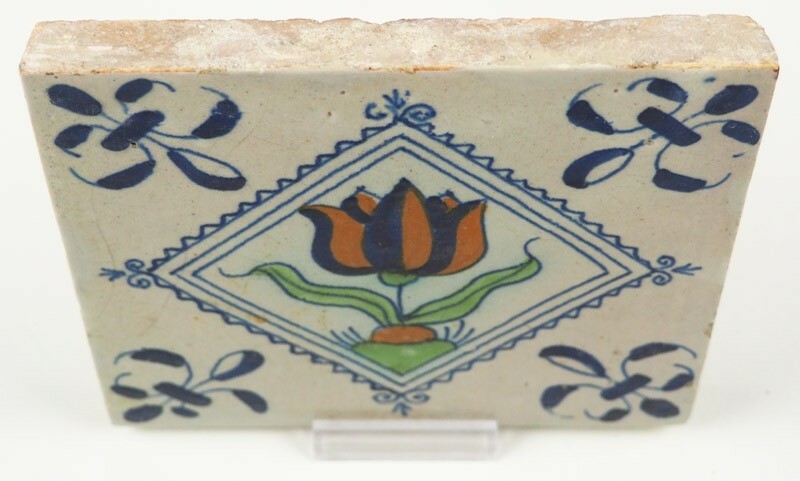 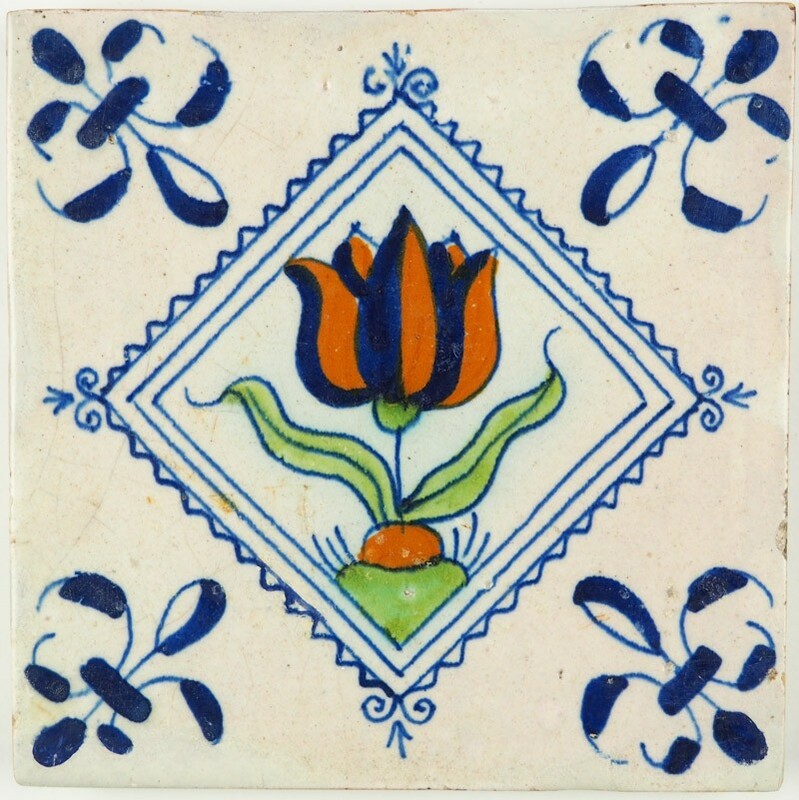 This is an extraordinary original 17th century (c. 1620) set of Delft wall tiles with beautiful flowers, including many tulips. 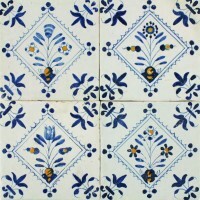 These tiles were already top of the bill at the time they were fabricated, but they have not lost any of their magic in the 21st century. 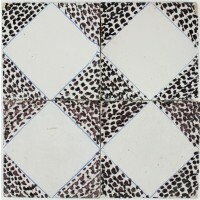 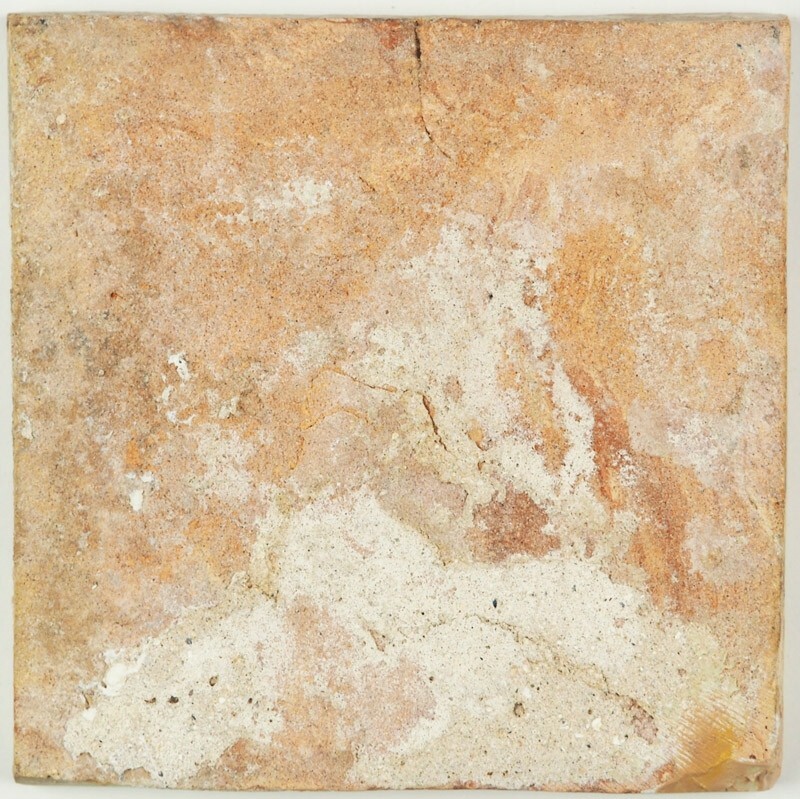 There are approximately 50 of these tiles available, but please contact us for the exact quantity.